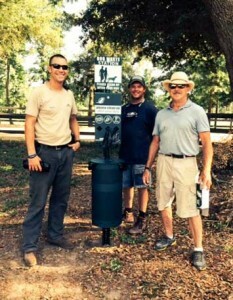 Thanks to the generous donations of our supporters, including Dan and Carroll Mayfield, the Aiken Land Conservancy (ALC) installed two dog waste stations at Winthrop Polo Field last week. There is a station located at each entrance to the field. Special thanks to ALC Stewardship Committee members Bennett Tucker, Thomas Coleman and Allen Struthers (pictured) for installing the stations in the summer heat. 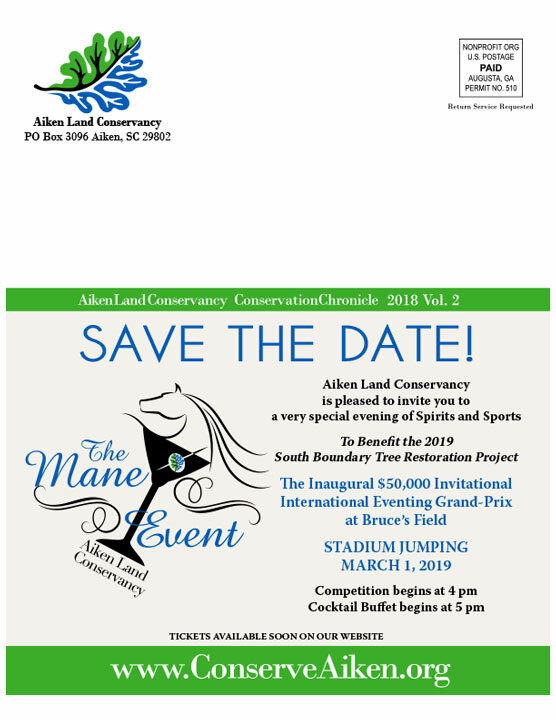 The 12-acre Winthrop Polo Field, located between Grace and Mead Avenues, is in the heart of Aiken’s historic Horse District. Purchased by the ALC in 1998, the field is protected from development and will continue to be used for equestrian pursuits as well as providing open space for dog walkers and others to enjoy.